So I guess I’m not over Dave yet. I got home from work last night around 9:45 pm. My wife was working on a wee hat for a little baby, recently born. The iPad was propped up on the bed, open to her pattern and she was trying to figure out how big she should make it. Our friend acted as the “head model” last week when the project got started, but that friend was now out-of-town and my wife was working from memory. I don’t want to give you the impression that our friend has a freakishly small head. No, her head is a normal adult size. She was using her hand, her fist, I guess, trying to approximate the baby’s head size. And now my wife wanted me to stand in for her. It wasn’t so much like a fist as like I was about to do a shadow puppet of a duck, and I’m pretty sure this baby doesn’t have a duck head. This is not entirely true, I don’t think, but years ago my wife and our friend were in Toronto and our friend tried on some Blue Jays caps, trying to find the right size for me. They succeeded. Me: “Yeah? But that doesn’t mean we have the same sized hands, and even if we did, I haven’t even seen this kid yet. I don’t know how big his head is”. Is it grapefruit sized? Orange sized? Still, I sat there with my hand in the air, while my wife wound some yarn around it, trying to size it properly. Head size is a touchy subject with my wife at the best of times. She made me this really great, warm, soft wool hat a couple of years ago, and I wore it for about 2 weeks and I loved it and then all of a sudden something weird happened with the wool. It started to stretch out and then the hat didn’t really fit all that well but I still wanted to wear it because she made something for me and not only that but I actually really liked it and I picked out the wool myself and it was great but then all of a sudden it was clear that I couldn’t wear this hat anymore and I’m not sure where it is now and I still feel bad about the whole hat incident. 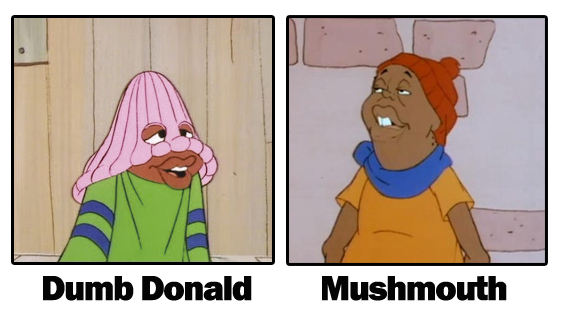 In two weeks I went from Mushmouth to Dumb Donald, no joke. Evolution of my wool hat. There was no comment from my wife. I feel like the hat will be the size that it will be, and it will be fine. She knows what she is doing. She can take string and turn it into stuff just using a couple of sticks. I still marvel at that. And at that point I looked at the bedside clock, saw that it was 10:23 pm and then I actually went to get out of bed to go into the living room. I almost even spoke these words: “I’m going to see who’s on Dave tonight.” but I stopped myself. I stopped myself before I said anything, and before I actually got up. I realized that there was no reason to get up. I sunk back onto my side of the bed, and thought about how wrong it felt. I`ve been pretty stoic about the whole thing, I think. It`s going to be a long summer with that time slot “dark” until Stephen Colbert shows up in September. I worry about James Corden`s show. Will people really sit through a repeat of CSI: Fargo or whatever and then still stay up? Not me. I’ve written a couple of blog posts on what Dave meant to me. I’ve enjoyed reading and seeing the many varied tributes from women and men I admire. I like stumbling onto tributes accidentally, like at the beginning of this week’s WTF Podcast. Marc Maron interviews Terry Gross, and I know some members of the fanbase like to cut to the chase and skip Maron’s opening bits and get right to the interview, but if anyone listens to that podcast, I encourage you to listen to the whole thing. Marc Maron says a bit of what Dave means/meant to him. It’s not mushy or overly sentimental, but I love that he said something. Also: I can certainly recommend Maron’s interview with David Byrne from last week too. That guy is really on a roll these days. People that get Dave’s humour are my kind of people, simple as that. I also snidely think that I don’t remember any such outpouring of affection and loss when Jay Leno left and then left again. I remember when Johnny Carson retired, it seemed like the right time. He came across as tired and done and well……old. He started when TV was Black and White, for goodness sake. And yet get this: Johnny Carson was two years younger when he retired than Dave is now. Like I said, I’ve been keeping it all together pretty well. 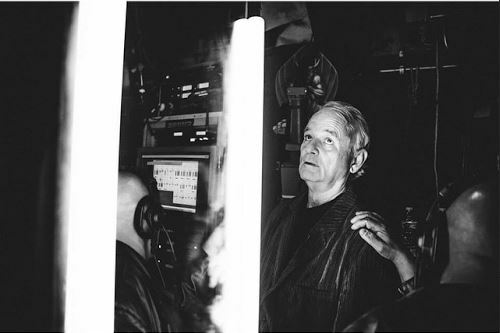 I saw this pic of Bill Murray, taken just before he made his appearance on the Last Late Show. He was on for just a minute, delivering the “Number 1” of the last Top Ten List, fulfilling the promise that he would indeed be the last guest (not counting the Foo Fighters who ended the show). This picture popped up in my Instagram feed from someone I don’t even follow. “brantleyg”. I just clicked on the “search button” and there it was, like I was meant to see it. It was over, and that look on Bill Murray’s face. The sadness, the concentration, the unguarded moment before he “turned it on” for the cameras. I didn’t even see stage manager Biff Henderson’s hand on Bill’s shoulder until I went back to the photo later on in the day. Biff’s hand. Bill’s shoulder. Our shoulder. On Sunday, I saw a brief clip of the Indy 500. Dave was there. He looked happy, relaxed. I could see him mouthing “thank you” to someone who was undoubtedly wishing him well. Things will be fine. Dave will be fine. Bill will be fine. Biff will be fine. And yes everyone here at the lighthouse will be fine, eventually.